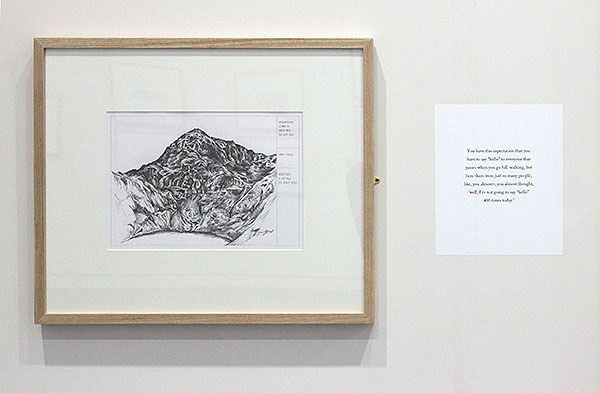 Series of 60 drawings with accompanying texts based on a search for the “perfect Welsh hill”; pencil on paper, each 420 x 297mm. 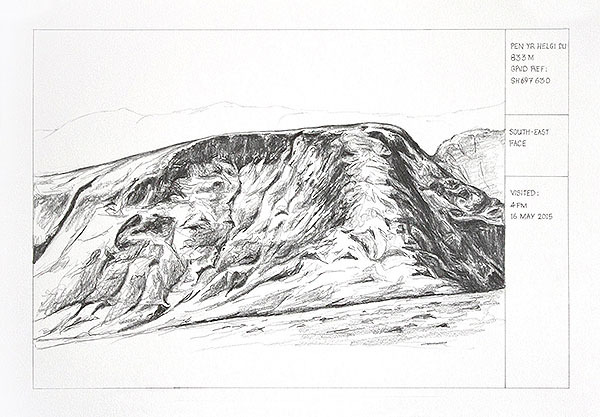 The drawings, presented in the style of architectural renderings, attempt to describe as objectively as possible the form of the hills. 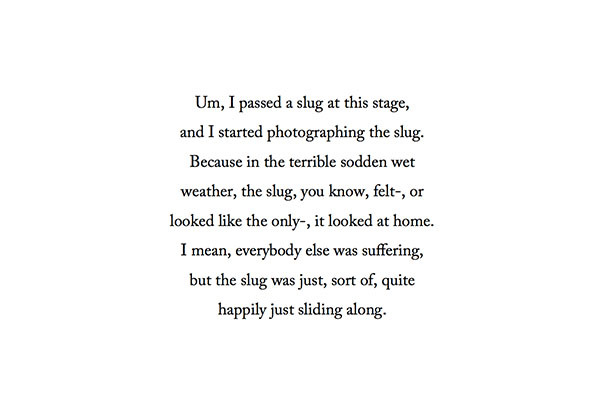 The texts, in contrast, transcribe verbal recollections of the process of walking, describing erratic and inconsistent states of mind, moments of physical discomfort, banal anecdotes about encounters with sheep, cows and farmers, and stuttering and inarticulate attempts to describe the surrounding landscape. Setting out to locate the ultimate, archetypal Welsh mountain, the survey is an elusive quest to find somewhere in Wales a single hill that will wholly sum up the identity of the nation. 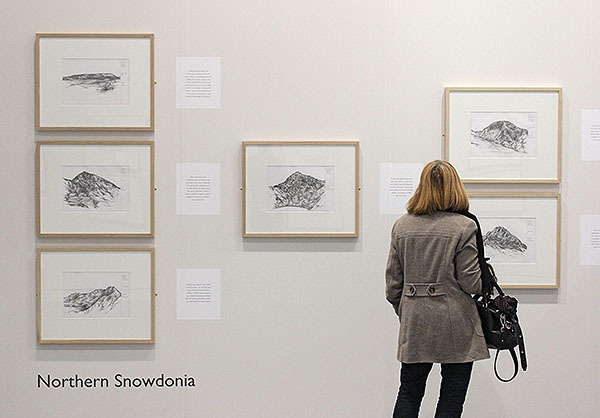 Through its employment of an absurd premise, the project examines the (questionable) notion that national identity subsists in the landscape of a particular region, and seeks to explore the connection between “Welshness” and the hills and mountains of Wales. The work forms part of the Searching for the Welsh Landscape series of works developed for a solo exhibition at Aberystwyth Arts Centre, UK in 2016-17. The project was supported through an Arts Council of Wales production grant.